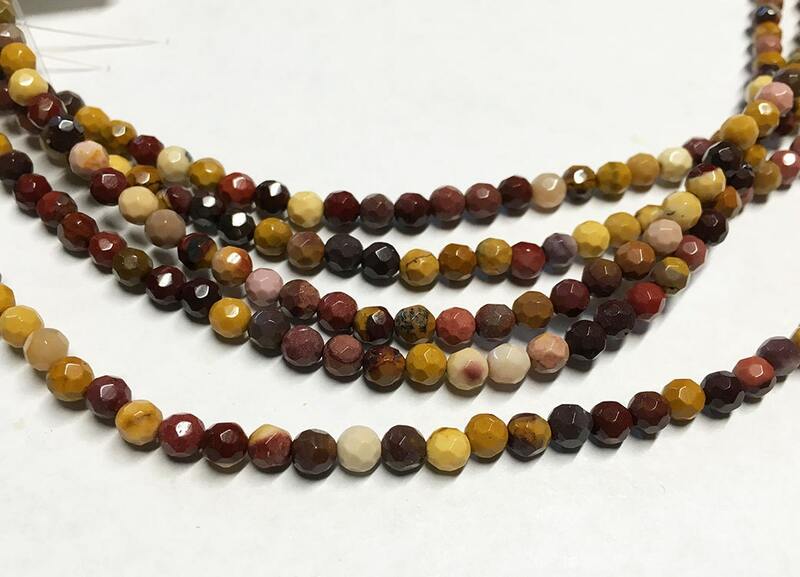 Mookite gemstone beads, 4mm round faceted beads. Mookaite is an Australian Jasper of bold, earthy beauty in colors of yellow, mustard, white, brown, red, and shades of pink and purple. There are approx 48 beads per 8 inch strand.